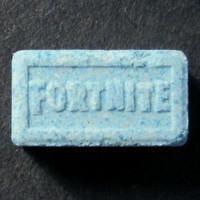 Cyan blue rectangular tablet with framed 'Fortnite' on one side, 'C | P' (with split) on reverse side. 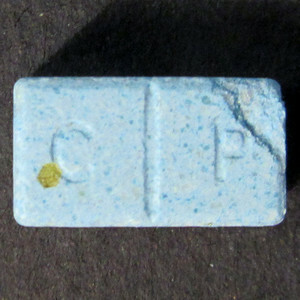 Shiny metallic hexgonal specks embedded in tablet (glitter? ).